Based in Dunedin, New Zealand this BBS is a reincarnation of a system that operated from Hamilton, New Zealand around 1993-1995. Back in 1995 Agency BBS used Renegade BBS software and was a member of several message networks including RGSNet, FidoNet, DemiMonde and LocNet. 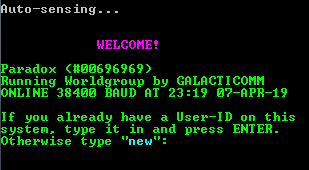 These days the BBS runs using Mystic BBS software and is active in the fsxNet message network. Mystic is cool software that is still actively under development. The sysop (Avon) is happy to help new users set this software up for themselves should they be interested. 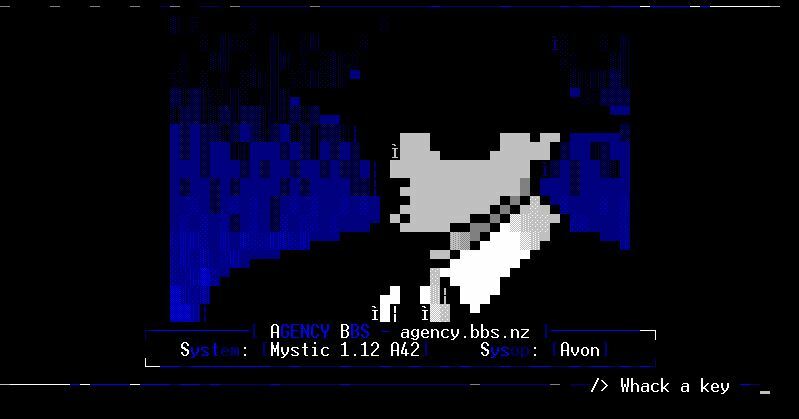 Agency BBS aims to cater for users worldwide who would like to experience and enjoy a bit of retro ‘old school’ technology that’s still alive and well in today’s Internet / website / email etc. dominated world. Connect to Agency BBS Now!